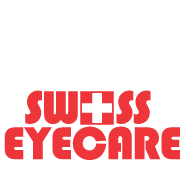 Swiss Eye Care provides our patients with the latest in vision care technology in order ensure earlier detection, diagnosis, and treatment of eye diseases and disorders. The Swiss Eye Care Boutique offers a wide selection of the latest in high-end designer frames and eyewear, including Prada, Gucci, and Dior. All of our designer frames come with a one year warranty. For budget-consious patients, we also carry a selection of quality affordable eyewear. Eyewear is made onsite in our state-of-the-art laboratory. And single-vision glasses can typically be made in an hour. For patients wanting clear, comfortable vision without having to wear glasses, Swiss Eye Care also carries a variety of contact lenses, guaranteed to suit individual needs. Our knowledgeable staff will help you select the style, fit, and color of eye glasses or sunglasses that will be just right for you.